In 2011, under the pretext of protecting civilians during an armed uprising, the United Nations Security Council greenlit the no-fly-zone and bombing of Libya. Despite massive pro-Gaddafi protests and heroic resistance against the faltering western-backed contras, the revolutionary government fell under the merciless onslaught of imperialist missiles and air strikes. When the imperialist forces ran out of military installations to target, they began bombing civilian infrastructure to support the chaotic groups of western-backed militias, including the anti-Gaddafi Libyan Islamic Fighting Group (LIFG). Despite having been supported by Britain and the US since its foundation in the early 1990s as it made attempts of Gaddafi’s life, the LIFG was officially identified by the British Home Office in 2005 as a banned terror organisation, membership of which should attract a 10-year spell in jail. Today Libya is in ruins, with opposing governments in Tripoli and Tobruk and large parts of the country under the control of various militias and jihadist groups, including Islamic State. Refugees and migrants are abused and sold in open-air slave markets, if they are not killed by their kidnappers. Libyan natives that survived the initial invasion have been subjected to ethnic cleansing by the wests ‘rebels’. Those looking to Europe for relief have often been left to die in the Mediterranean Sea if their overcrowded or broken vessels cannot complete the journey, while $32bn of Libya’s money in US banks and $63.5bn in EU banks were ‘frozen’ (i.e. pocketed) at the start of the invasion. Naturally a special army group, the Petroleum Facilities Guard, was formed to protect Libya’s oil and gas production, although it has has its share of problems, stopping production due to lack of payment, and abandoning ground to Islamic State. The Libyan Islamic Fighting Group, with close links to Al-Qaeda, founded by Libyans who had fought against the Soviet Union in Afghanistan, is still active in Libya today as part of the Libyan Shield Force, and has sent fighters to Syria, where they received funding from the UK. The Telegraph has revealed that members of LIFG formed a small community in Whalley Range, where Salman Abedi lived. All that has been revealed so far is that Salman Abedi was “known to security services”. “Among them was Abd al-Baset Azzouz, a father-of-four from Manchester, who left Britain to run a terrorist network in Libya overseen by Ayman al-Zawahiri, Osama bin Laden’s successor as leader of al-Qaeda. Meanwhile, Theresa May has deployed around 1,000 soliders to British streets as part of Operation Temperer, which has the added benefit of propping up her failing ‘strong and stable’ image in the two weeks until the General Election. There is no doubt that this event will also be used by the media and the government to stoke Islamophobia in an effort to scapegoat problems at home and to justify wars abroad. Clearly such an operation to protect British civilians is a complete fraud while funding and support for terrorist organisations continues as part and parcel of British foreign policy. The reality is that this kind of fundamentalist extremism cannot survive, or thrive as it has been, without the backing of imperialist states. Britain and the US’s Saudi arms deals, and the funding of terrorist ‘rebels’ in Afghanistan, Libya, Syria, etc, come with the understanding that terrorist attacks on home ground are an accepted cost. The only solution to stop these wars and barbaric atrocities lies in the defeat of British imperialism. 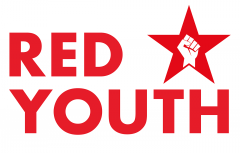 To do this we must unite with our fellow workers, take hold of the weapon of Marxist-Leninist education, and to use this understanding to break down the walls of suspicion between our communities, uniting them in a common fight against our oppressors, and advancing the revolutionary struggle against imperialism and for socialism. Death to racism and xenophobia! Victory to the international proletariat!